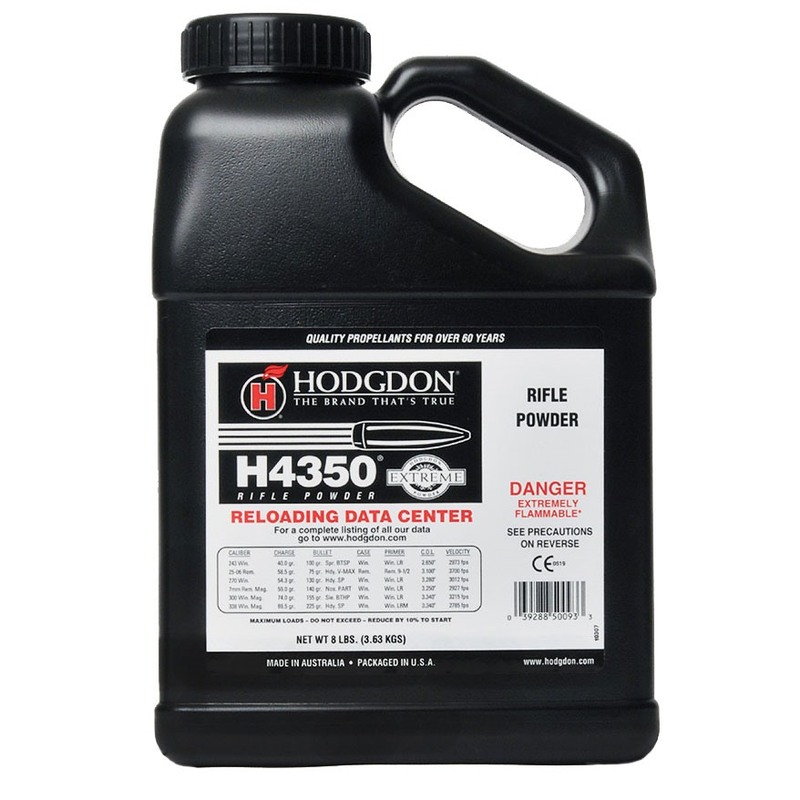 Hodgdon Powder offers one of the largest selections of quality smokeless propellants for rifle reloading. 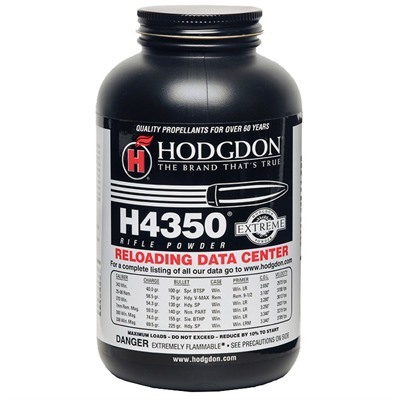 These powders are very popular with high power and long-range shooters, varmint hunters, and benchrest shooters. Hodgdon's exclusive line of extruded rifle powders was developed to give shooters consistent performance load after load, in ever the most extreme heat and cold. 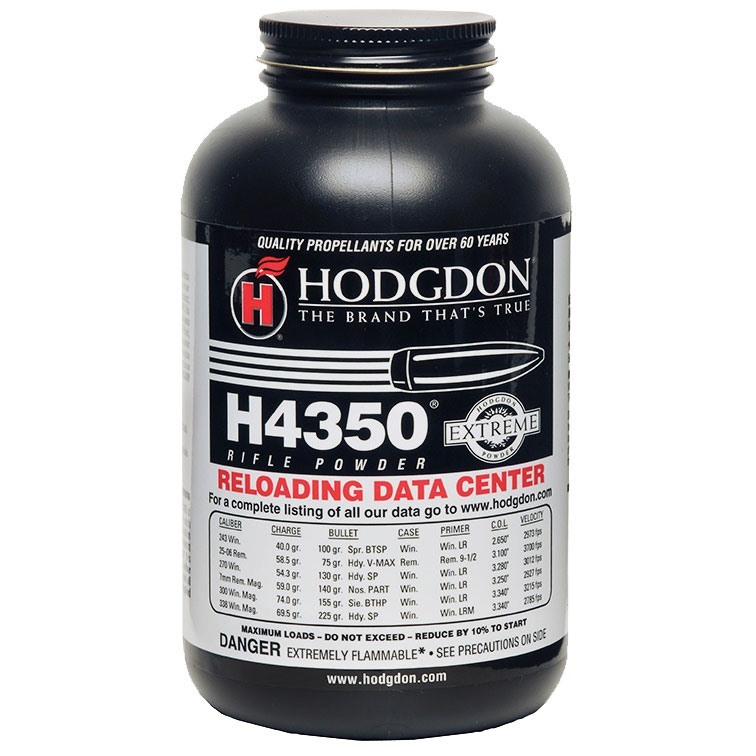 Designed for cartridges such as the 243 Winchester, 6mm Remington, 270 Winchester and the 338 Winchester Magnum. Works best in Magnums with light to moderate weight bullets.